In the late 1700’s an English man visited the Faithlegg and Cheekpoint area and recorded all that he was shown in great detail. It was a chance visit however. He had travelled from Curraghmore to Passage East with the intention of sailing via the Mail Packet Station to Bristol. The captain made all manner of excuse not to sail though, and realising the delay was to build up a passenger manifest, the traveller decided to invite himself to Ballycanavan (Woodlands), then seat of the Bolton estate. The travellers name was Arthur Young. Young was an English farmer, adventurer and travel writer. He actually visited the area twice; in 1776 and again in 1778. He had a fascination for farm enhancement and enterprises and as he travelled the countryside he stayed as a guest with the landlords of an area and detailed all that he saw. Of course he also provided observations and tips to his hosts, sharing his wisdom and suggesting improvements. Although he was a guest he not averse to pointing out wrongdoing and his observations were highly regarded and are to this day an important social and historical record of the time. He recorded and published this as “A Tour in Ireland 1776-1779” in 1780. Various formats of the account here. harbour is driftnetting for Herring. Lobster, Oyster, Cod and Salmon. imagine to refer to Draft Nets. planting Potatoes, Oats, Barley and Wheat. Once Cornelius the younger succeeds his father he will develop an industrial hub at Cheekpoint building on the work that his father had started. I will go through those developments in brief in the coming weeks. But I can’t help wonder, was a source for those developments, not just the legacy of the landlord system that extracted the wealth of it’s peasantry, a legacy of his enterprising father, but also the company and wisdom of a champion of the industrial age; Arthur Young. Familiarity breeds contempt they say and so I guess that’s why, in Cheekpoint at least, not much is made of the Bolton Milepost. But did you know there was a series of them, leading into Waterford? What were they for and where did they go? It’s a story, like the milestones, worth preserving I think. You see although the milestone(s) might be familiar it’s also historic. Milestones themselves go back a long way in history. 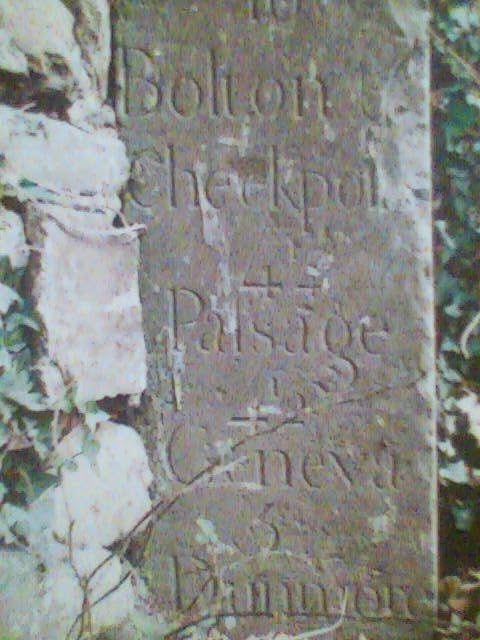 The Bolton milepost has distance to the pier with the name Bolton and Cheekpoint on it – distance 1/4 Mile. It also has the distance to the city on it – 6 and a half miles. This dates it to when the village was known (or rather renamed) as Bolton. Bolton of course was Cornelius Bolton MP, then landlord of the area . The rebranding seems to have coincided with the moving of the Mail Packet Station to Cheekpoint in 1785. This was achieved with the financial and political motivation of the Bolton family. The mail packet (or mail boat) ran daily sailings to and from Ireland carrying post and passengers and the location of it in Cheekpoint created a major economic spinoff. The station operated under a Welshman named Captain Thomas Owens, and he and his family lived at Fairymount. It operated until 1813, when it was moved further down river to Passage and then to Dunmore East in 1824. With the coming of steam driven ships, the station as finally moved to the city around 1837. Traffic would have increased considerably into the village, as a consequence of the packet station. To cater for the traffic, roads were widened and I imagine in some cases rerouted. Marking the routes were a series of Milestones. The loss of the mail packet station seems to have been the catalyst for the collapse of Bolton’s business interests. By 1818 Bolton had sold off his home, land and interests in an attempt to pay his creditors and moved to Waterford where he died in 1829. Apparently the milestones (and all other signage) were removed by the Local Defence Force, with the co-operation of the county council during WWII (the emergency) in case the Germans landed in the estuary and followed Strongbow in the road! If you think that’s Irish, well the English did it too! 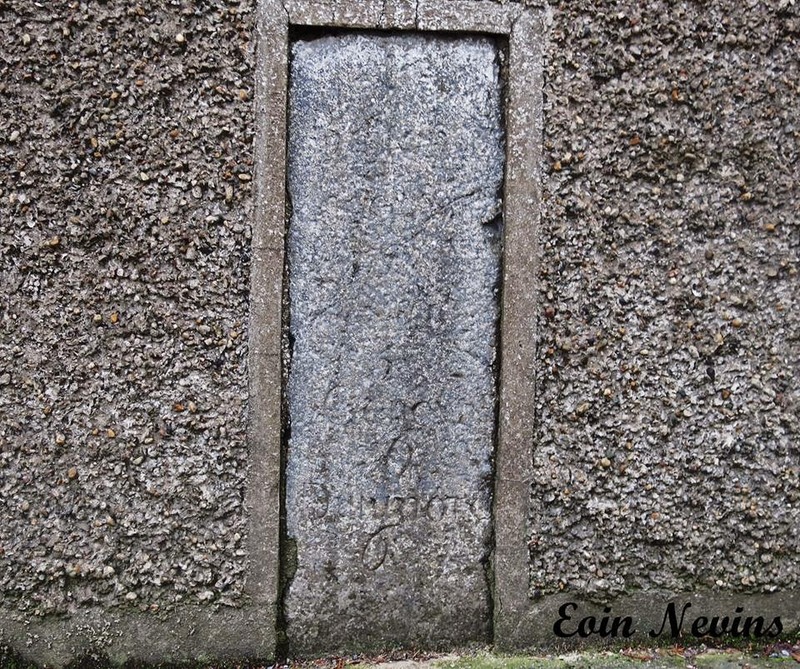 Eamon Duffin remembers the village milepost being recovered from the ditch sometime in the early sixties when council employees were doing some work. After some debate and consultation locally it was determined that the present location was where it stood in the past and re-erected it. My Uncle Sonny remembers the one at the end of the Bridge hill, saying it stood to the right of the road, at the church side of the glen road. He recalled it lying by the roadside, covered with a layer of clay. 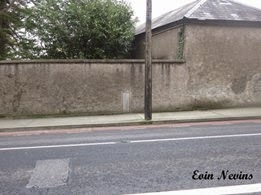 Pat Moran told me during the week that he heard talk of a milestone at Mooney’s grove, and he could remember the milepost at the now Maxol Garage on Dunmore road, so we speculated that there must be at least one other (given the distances) in between, most likely around the Passage Cross. Considering this, it might be worth trying to locate the missing mileposts. Chances are they are flung in a ditch in various locations along the road. Apparently one is lurking in council yard in the city, most probably the last one photographed above, which as already said was removed when the Dunmore Road was realigned. Wonder did they extend to Passage and Dunmore? I suppose to some they are only a lump of limestone, but for me, they give an important signpost to our heritage and history. 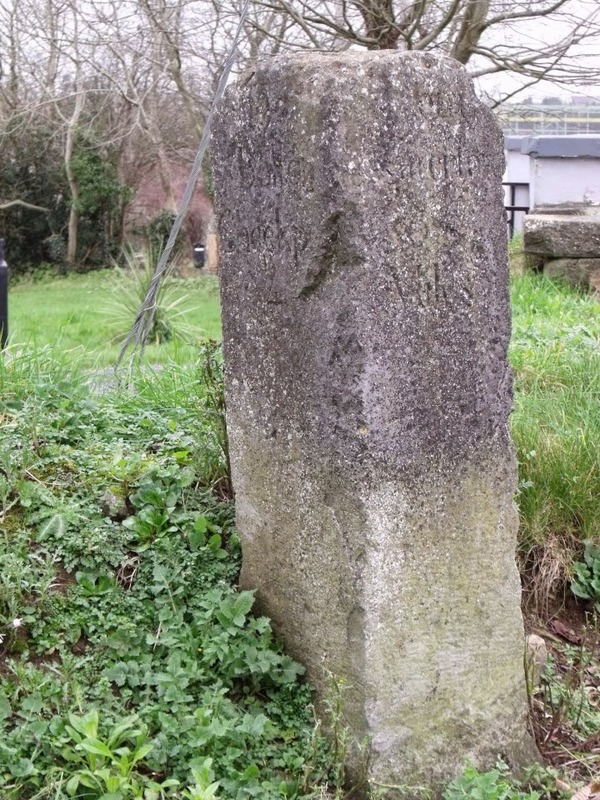 Although much older, here’s an example from England of how a Roman milestone has been protected and interpreted. “Milestone kirkby thore” by Northernhenge – Own work. 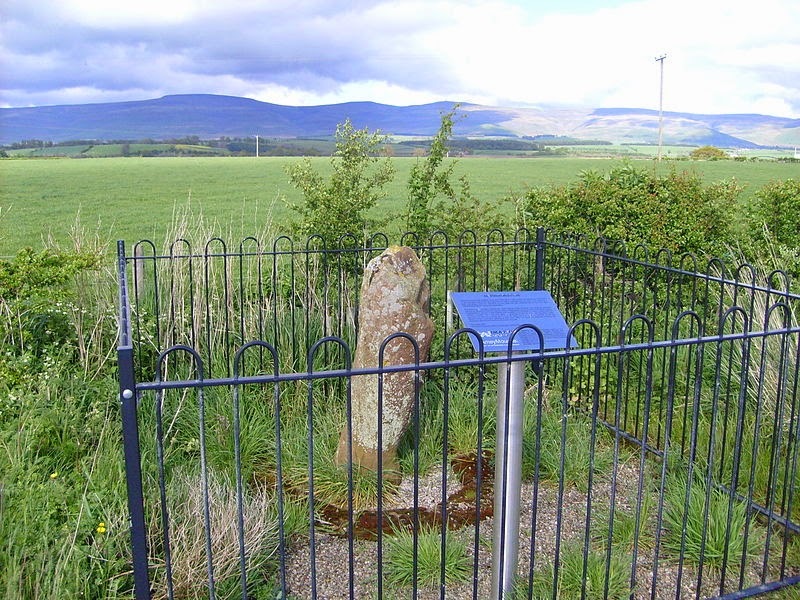 Licensed under Public Domain via Wikimedia Commons – http://commons.wikimedia.org/wiki/File:Milestone_kirkby_thore. On the 5th October 1939, Coolbunnia man Pat Hanlon (able seaman) was captured as part of the crew of the SS Newton Beech by the German pocket battleship Admiral Graff Spee. No one could have foretold what would lead from the event, but by February 16th 1940 it would turn Pat into a celebrity at home and make naval and military history. The Graff Spee was the pride of the German naval fleet at the time and at the commencement of World War II she was dispatched to the South Atlantic under the command of Captain Hans Langsdorff. Langsdorff was an old fashioned sailor, and despite the fact that his orders was to disrupt and sink as much allied shipping as possible, his views were that he would not kill fellow seamen. As a consequence the Graff Spee modus operandi was to approach allied shipping with the French flag at her stern, and once alongside run up her colours and put a crack boarding party aboard the allied ship. The crew were then transferred, or if close to land, were given the option of rowing to shore in their ships lifeboats. Charges were then set and the ships sent to the bottom. As a consequence, he probably sank less ships than would have been possible, but of the nine he did sink, no crew man died. 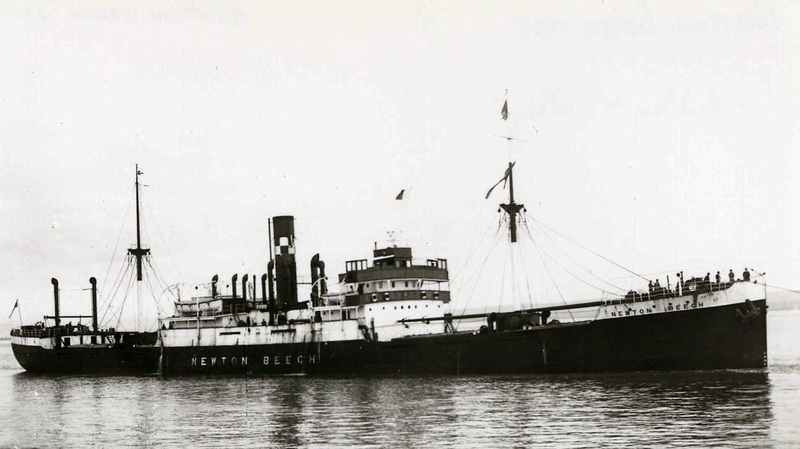 The SS Newton Beech was from Newcastle-Upon Tyne and was built in Sunderland in 1925. She was an average sized tramp of her day (4615 GRT) owned by Tyneside Line with a crew of 21 Tynesiders and 14 from other areas including Cheekpoint. She was under the command of Captain Jack Robison and had departed Cape Town on September 7th heading home with a cargo of Maize. Her last resting place is recorded here. Aboard that fateful morning was Pat Hanlon one of the eleven children born to Fisherman Martin O’Hanlon and his wife Margaret nee Murphy who was originally from Mooncoin. They lived in Coolbunnia on the main road below the present school. Pat like so many from the area “went to sea” to earn a living. Pat was a brother to our current eldest resident Annie Phelan nee Hanlon in the Mount Avenue. 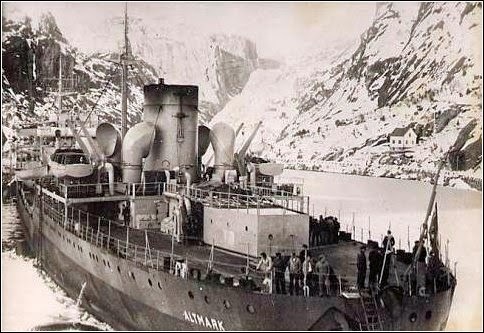 As the sinkings escalated the numbers of prisoners grew and they were transferred to the Graff Spee’s supply vessel the tanker MV Altmark who shadowed the battleship and hid under a Norweigan flag and fake name SS Sogne. 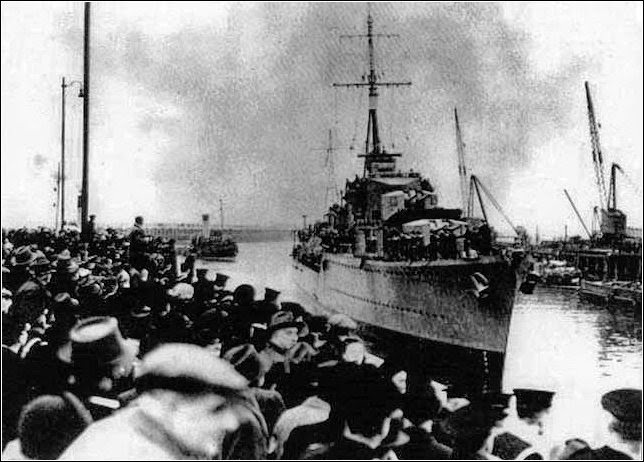 As the allied net closed on the Graff Spee and her ultimate fate, it was decided that the Altmark would break away from the scene and return to Germany. Working hard to avoid capture her Captain, Heinrich Dau, headed northwards towards the Artic and nursed her towards the Norweigan coast. 7 a.m., turn-out and wash; 7.45, breakfast; 8.30-9.15, on deck for fresh air; 11.30, dinner; 2.30-3, fresh air on deck; 5.30, tea; 9 p.m., lights-out. The Altmark was a large ship of 20858 GRT and prisoners were held in various sections, Pat being unluck to be 25 feet down in one of the holds. It was dark, cold and very uncomfortable. At one stage Pat got in trouble as he tried to send an SOS in a tin over the side, in the hope of raising their fate to the outside world. He need not have worried however. British naval intelligence was aware that prisoners had been taken and were busy trying to track likely vessels. As the Altmark approached Norweigan waters, the navy demanded she be searched. Despite three boarding parties of Norweigan navy personnel on three separate occasions, nothing was discovered. British suspicions were obviously aroused however and she was tracked down by a spotter plane. 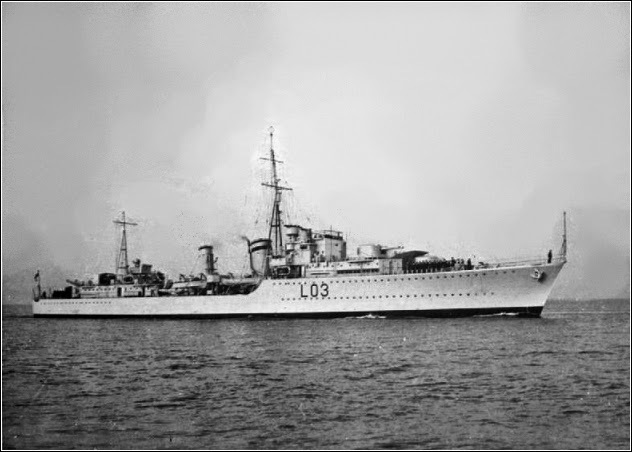 The Altmark was confronted by HMS Cossack, a destroyer and challenged whilst still in Norweigan waters. The resulting diplomatic incident became so heated that none other than Winston Churchill, gave the order to interecept and board the Altmark. She ran aground in a fjiord and was subsequently boarded by the Navy where hand to hand combat was used, in case gun shot would harm any prisoners. When the hold containing Pat Hanlon was thrown open, with a call of “The Navy’s here” he was first out of it, and risked falling back off the ladder such was the surge from below. Pat O’Gorman reminded me that in the same situation he would have tried to do the same…sailors would have expected the ship to be scuttled, and would have been keen to get on deck and grab anything to help them float off. “The Navy’s Here” would later become the catch cry taken up by the press and media and used throughout the war as a symbol of naval potency. All the freed “Prisoners of war” were taken aboard the Cossack and she departed for Leith the following day. Some footage of their Ariving back to England was taken by the Pathe News. I fancy I can make out Pat, but I could be wrong. Despite his experiences Pat returned to sea not long afterwards and he along with hundreds of fellow Waterford men and thousands of Irishmen plied their trade with the merchant navy all through the horrors of the war. Unfortunately the consideration of Captain Langsorff was uncommon and tens of thousands of merchant men died, one piece I read put it at 50,000, some of whom were from Cheekpoint and many more from Waterford and the rest of Ireland. Its worth remembering they put to sea in ships with little or no way of defending themselves and were unsung hero’s in a war where they played a crucial part, and got little by way of recognition for their bravery. The traditional start of the Salmon drift net season in Ireland was, for many generations February 1st. Once opened it stretched to August 15th. It closed each week between 6am on a Saturday morning to 6am on the Monday. Once the week opened it operated for 24 hrs a day. Michie Fortune posted a reminisce in the Cheekpoint Facebook page this week, remembering drifting in the river with Tommy Doherty and having to use the oars. Some of the members on the page queried how he could remember 50 years back so vividly, but I have to admit, the first winter I spent was just as memorable. When I started fishing of course outboard engines, easier nets and comfortable oilskins were a predominant feature. My grandmother often told me of the conditions her father and brothers faced while drifting for fish. In the first instance she remembered the smell of drying clothes at the open fire day and night. All the outer garments and even the socks steaming away on the fire, and her mother, often up through the night, keeping the fire in and turning the clothing, so that the men would be some way comfortable going out. That might be the following morning, or in a short few hours depending on the tides. Walter Whitty told me that as a child he remembered seeing “oilskins” hanging to dry in the high street. These were not the comfortable oilskins of today. These were home made, by the women generally and cut from calico purchased in town. The calico would be measured, sown and then soaked in linseed oil to keep the water out (or at least some of the water). They would then be dried in the sun and be fit to wear. My grandmother said that often as not an oilskin might return from sea journeys and were much sought after, but in general the men wore thick overcoats to keep the weather out and always two pairs of socks. Terry Murphy once told me a yarn. He was only a boy and was fishing with Billy the green, grandfather of Elsie Murphy. He called down this cold frosty morning and Billy came our with his socks in his hands. He plunged the socks into the water barrel and squeezed them out. He then put them on his feet and put his boots on. Terry paused for dramatic effect and looked at my puzzled expression. “Well” he said, “when you are on the oars all day the water in your socks heats you up better than any hot water bottle”. I saw the proof of those words many’s the time I have to admit. Returning home was also work of course. The hemp nets that my randmothers father and brothers used had to be ranged out of the boat and “spreeted” – hauled up and dried in the wind. Not doing so would shorten the life of the nets which was a cost they could not afford. So on returning to go fish, the nets had to be lowered and then ranged back into the boat. Any wonder the majority of my gran uncles took the boat to America or England as soon as they could. Any wonder also that it was the older men and young boy that did the fishing in all the other families around, those old enough choosing the sea, at least until the summer peal run. In my own time, the start of the season had been shifted to St Patrick’s day and in the 1990s (1996 I think) the season was destroyed from the perspective of commercial fishing in Cheekpoint in that it was reduced to a June 1st – Aug 15th season and operated from 6am – 9pm. It was a slow strangulation of the fishery which eventually closed in 2006. Funnily enough in those times there was hardly a week went by without some media outlet decrying the state of the Salmon fishery and trying to close down the drift netting. Now those media outlets are much quieter, although the problems of salmon stocks still persist.